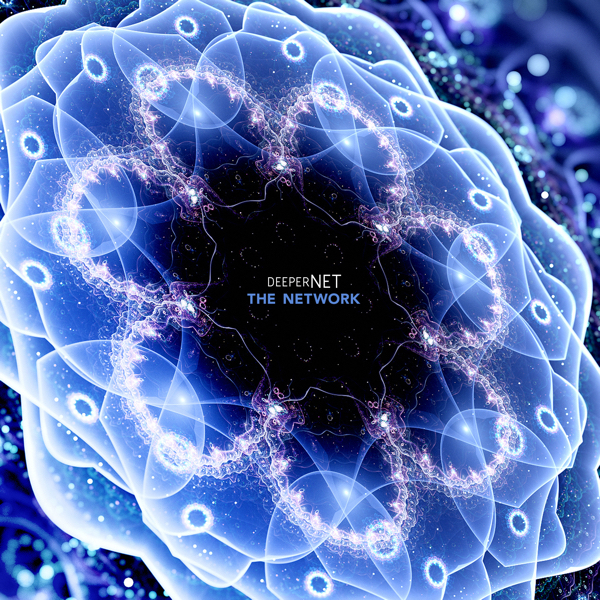 DeeperNET navigates an elaborate web of sonic energy on THE NETWORK. A neuro-fabric of alien and outlandish worlds collide with elements of mid-tempo goa trance, techno, and the deep lush spaces of organic ambient music. This brilliantly choreographed work pulls you in one end and rapidly out the other through a network of digital dreams and analog vibrations. Within THE NETWORK, blissful moments of ecstasy coexist with others, dark and deranged, as these sonic pathways lead the listener far and deep into altered states of an abstract reality. 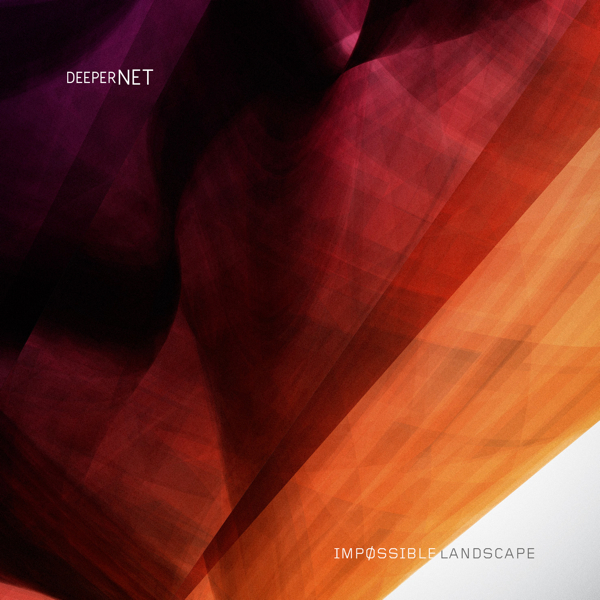 Exploring the downtempo nature of electronic music, DeeperNET micro-examines the space and time in between the musical notes and profoundly evocative synthetic sound design. Detailed and wound together like a strand of DNA, it is a journey pounding and echoing into the cosmos of the deepest human networks. As this vast and present projection of sound may lure fans of Shpongle and Solar Fields, it is a prerequisite for all explorers of contemporary electronic music. After a more or less wild album in Impossible Landscape, Andrew Miles tries it again with an album clearly more in the Trance style. In the genre of One released in 2013. “The Network” propose a collection of 9 furious titles which risk to surprise the a little quieter clientele of the American label Spotted Peccary. A wave with a halo of metal which disintegrates and with sequences which bubble in a too narrow tube propel the wild beat of "Cracking the Code". Rollings of percussions and clang! The doors of the totally unbridled rhythm crushes us to the wall. With a load of retro effects and of stroboscopic lines as madly jerky as unseizable which spin from everywhere, "Cracking the Codes" seizes our two feet to manhandle them in a heavy and powerful whirlwind which is doubtless going to make pop some memories of the 90's, in particular with the more commercial music of Leftfield or still Underworld. All the elements of Goa are gathered; demoniac lines of vibrating bass which kick down the beat with effects of loops, unbridled percussions and effects of slamming percussions, lines of sequences hammered and fed by effects of psychedelic stroboscopes as well as electronic effects which hesitate between some short ethereal moments and some furious phases fed by a hunger for soft psychedelic effects. If DeeperNET wanted to get the attention of the fans of Trance Goa, he got it rather fast while lovers of panoramic music of Spotted Peccary. still have their thirst of serenity are well crashed against the walls. That continues with the hopping rhythm, like a techno cavalcade, of "Vision Quest". Less violent than "Cracking the Codes", "Vision Quest" favors an approach of atmospheres and of electronic effects on a structure of rhythm which loosens its movements of jerks around metallic and danceable tsitt-tsitt. The rhythm is crashing on a cliff of serenity at around the 5th minute to get back with more vigour some 90 seconds farther. The melody? Euh... There is, but the bludgeoning of the percussions and the bombardment of the bass sequences get the upper hand over a nasal thing fed by a simplistic movement. Let's say that the melody aspect here seems to be not the priority of DeeperNET. The wild beats? He has no problems with that! "Hearts on Fire" proposes a more fluid approach with a lot and a lot of percussions and effects of stroboscope decorated with sequences to organic tones. Here, as everywhere around “The Network”, the game of the percussions arouses a kind of fascination when it harpoons the rhythm in order to restructure it towards an even more unchained phase. My ears began bleeding here! And "Sator" makes nothing to look after them. I need a break after this rhythm heavily clubbed by heavy percussions! And "Mystic Division" arrives just in time with its heavy and slow structure which follows the paths of a boosted down-tempo by more accelerated phases but still less wild. There are even moments of astral tranquility on this title which is very welcomed for the ears. Especially that "Quadraphilia" takes them back yet with a slightly hopping structure, like a hip-hop whipped by elements of Trance. The melody? Still there, sorry but the rhythms come so much of everywhere and metamorphose with so much crash that my ears have difficulty to well discern them. For the greater part, they arise from these stroboscopic lassoes which crumble melodic strands painted of organic tints. Most of the melodic phases are substitutes of rhythm, as in that of the title-track which is a kind of fusion between Funk, Hip-hop and Trance in an envelope of tones more cosmic than psychedelic. After a small intro fomented in the nebulosity, "Fabrics of the Subconscious" continues on the rhythmic tracks of "The Network", but with more vigor and heaviness in the leaps of which the shadows forge a continuous movement. It's doubtless the most psychedelic title on this powerful fresco of Trance Goa that Andrew Miles throws us behind the head. Did I liked? Let's say that there are moments where my ears wanted to run away, but the feeling to write a chronicle has got the upper hand and I finally enjoyed a lot of moments here, as I before finally ended by like Leftfield, Underworld, FSOL and Orbital. Names which go very well alongside the music of DeeperNET! In fact, I hooked on it after having heard the title-track and very good "Fabrics of the Subconscious". The rest follows from then pretty easily. The latest CD from DeeperNET (aka Andrew Miles) is a florid creation of sound, beats and musical imagination. “Cracking the Code” plays like computer geek on a rampage searching for the answer to the world’s biggest tech mystery. Keyboards lines run amok, while a constant beat drives the tune towards the ultimate answer. “Vision Quest” sounds like was composed by a wicked DJ at some sort of Fashion Show gone mad. I can picture fashion models struggling to match the dynamic groove of propulsive electronica tinged with darkness. Hearing the third track “Hearts on Fire” brought a smile to my face because three minutes of it was used in the Martial Arts product infomercial I Directed for Super Punch & Kick Target (click to view the commercial). It’s carried by a percussive engine of thumping drums and slamming keyboard lines whirling and twirling about. “Satori” blows in like the cool breeze of a tropical ocean, bringing the fragrance of serenity and peace. The nine and a half minute track definitely has a purpose, but not out of the expense of bringing relaxation. I love the bongo or international sounding drum hitting, which was totally unexpected and fitting at the same time. I love the way Miles uses the production technique of making the sound swell wide and then he funnels it down to a point. Very cool approach and displays a musical master at the helm. I think it would be darn near impossible not to move to the rhythm of “Mystic Division.” Drums slap in all sorts of ways, while cymbals slink & hit for the 8-minute running time. 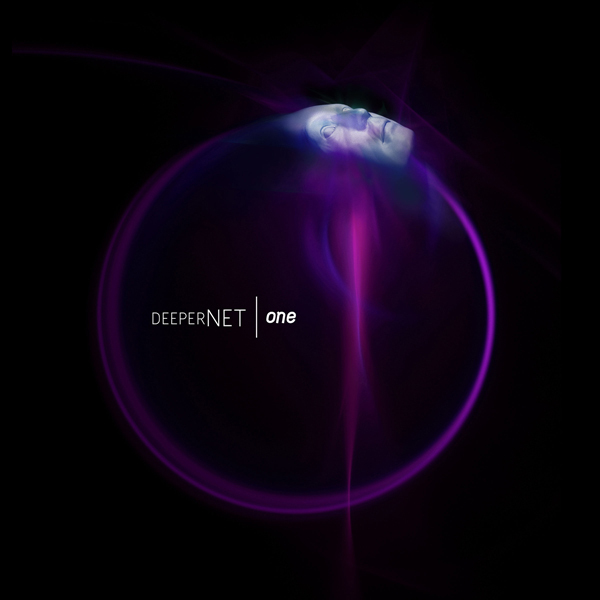 It’s not hard for DeeperNET to catch you in it’s webbing of melodic techno trance. After the 5th track above finishes you better hurry and run to jump on the audio train that is “Quadraphilia.” This tune takes off for a nine-and-a-half minute sprint down a sonic pathway of electronic euphoria. Miles switches things up just for the six-minute mark just to make your journey unforgettable. The title track is the seventh piece. It’s a conglomeration of sound design and mixed with expert manipulation of a full arsenal of electronic firepower. It even ends with 2 minute slow down to ease you off the wild ride. For some reason the last tune, “Fabrics Of The Subconcious” reminded me of the great score for Tom Tykwer’s Run Lola Run. It’s like once the stomping beat begins to pulsate it’s hard not to go with the flow. What I found particularly interesting about listening to The Network is how fast it seems to zip by. But the fact is that it’s a 69-minute album that feels half its length. That’s a real testament to DeeperNET and the talented man named Andrew Miles.